My first foray into the world of film making coincided with JVC bringing their handheld video camera to the market. I remember it vividly. It was 1985. Back to the Future was the film of choice. With a side loading tape deck, red body and shoulder mount design as used by Marty McFly, I found myself channelling my inner Spielberg as I directed and cajoled my class mates to act in front of the camera as the snow fell down with them standing in their school shirts. Jackets weren’t allowed. I was determined that they would suffer for my art. Despite meticulous storyboarding and rehearsing, the finished product was as you would expect somewhat lacking in production values. No matter. It had been capital F fun, well, for me at least. Had you told me then that my older self would possess a video camera that would fit in the palm of my hand and which could be used to edit footage and even create special effects, I would have stared in slack jawed disbelief. Ever since the first iPhone hit the market ten years ago (yes, really, it has been that long! ), the capability to make films has been literally in the palm of your hand. It seems that with every new smart phone that hits the market, the ability to produce ever higher quality films and photos increases. While there will always be a place for traditional camera and video equipment, for the average punter in the street who isn’t necessarily interested in f-stops and depth of field, their smart phone is more than good enough for them. Recognising that the vast majority of consumers these days have a smartphone (I say most as there are still hold outs like myself who prefer a phone with buttons and battery capacity measured in half- life rather than hours), JOBY, purveyors of the original portable, flexible tripod, the GorillaPod, have developed a range of tripods, stands and clamps that will allow you to release your inner Nolan or Abrahams. Image and sound quality have become so good that the only thing holding back the budding auteur (other than, in my own particular case, a lack of talent and vision) is the ability to capture images smoothly on film. How many YouTube or Facebook videos have you watched and found yourself cringing at the shaky-cam filming style? I don’t know about you but my tolerance for watching motion sickness inducing footage is somewhat limited. It may have worked for The Blair Witch Project but the fashion for found footage guerrilla style filmmaking was thankfully left in the last century where it belongs. Recognising that the difference between good and great filming can be down to something as simple as having a steady camera, JOBY sent me a selection of their latest products to play about with. So with a borrowed smartphone in hand, let’s see what they have to offer. The so small it can fit in your pocket one. Opening the box of goodies, the first product I happened upon was the GripTight One Micro Stand. To call it dinky would be to do it a disservice. 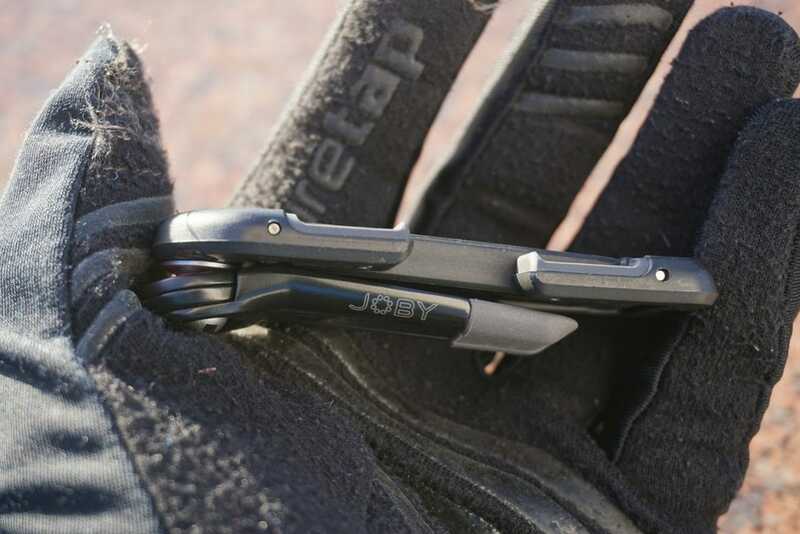 At just 8.5 centimetres long, 3.5 centimetres wide and 1.5 centimetres deep, it easily slips into that weird narrow pocket in your jeans that you usually put spare change in only to struggle in the manner of a paralytic contortionist to try and retrieve. Fold flat design for portability. Opening up the fold flat design, the two ends fold out at ninety degrees while the distance between them can be adjusted to accommodate any smart phone between 56mm and 91mm in width. The ends are spring loaded and feature a high grip coating which means once in place, your phone is held securely and won’t be going anywhere soon. 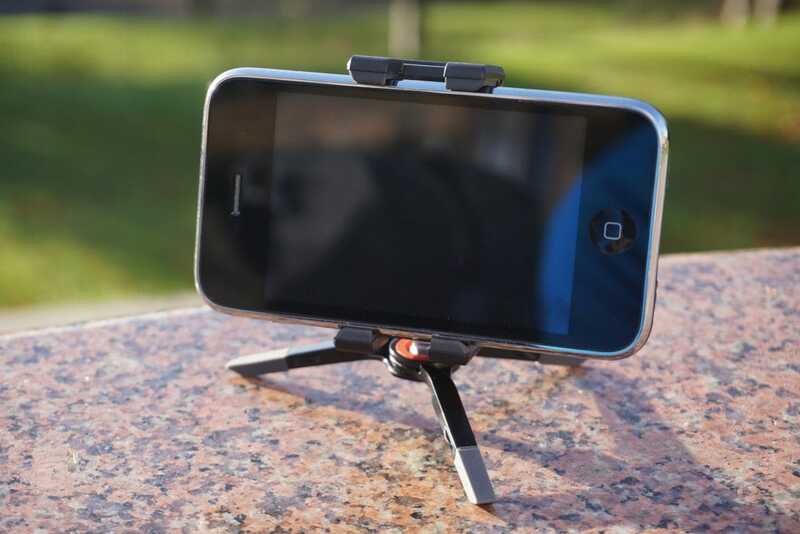 At the base, there is a fold flat tripod with high grip coating on the ends. 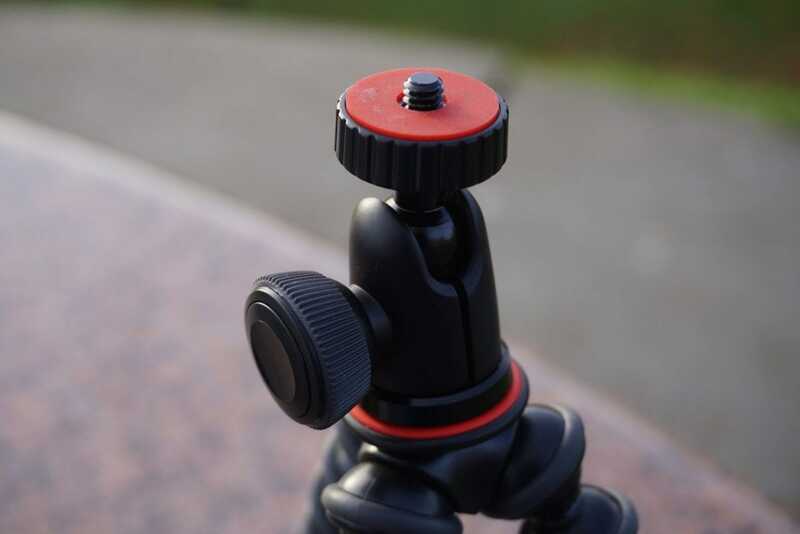 The tripod connects to the mount via a screw in ball joint which allows you to adjust the angle of the screen. Threaded to work with a regular camera. So what can you use it for? Primarily, any time you want to watch something on your phone but don’t want to hold it, the Micro Stand offers a pocketable solution. On a flight, in the back of a car, on a train, in the library when you should be studying, heck, even in the bath. However, one bonus feature is that the quarter inch thread of the tripod matches perfectly with a compact camera as an ultralight stand so you have no excuse not to try that arty long exposure shot at night when the opportunity presents itself. 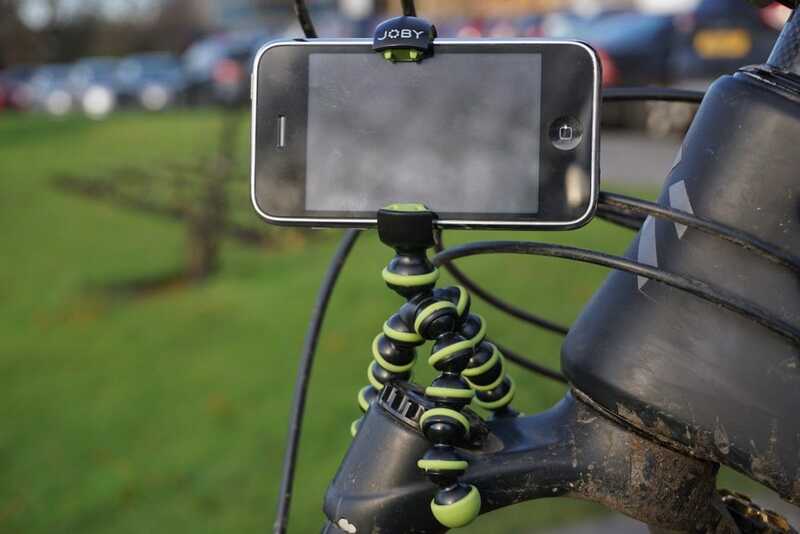 The one with the GorillaPod mount that can be used anywhere. You can use it here…..
Like the Micro Stand, the Mobile Mini stand is designed as a free standing mount for you smart phone. 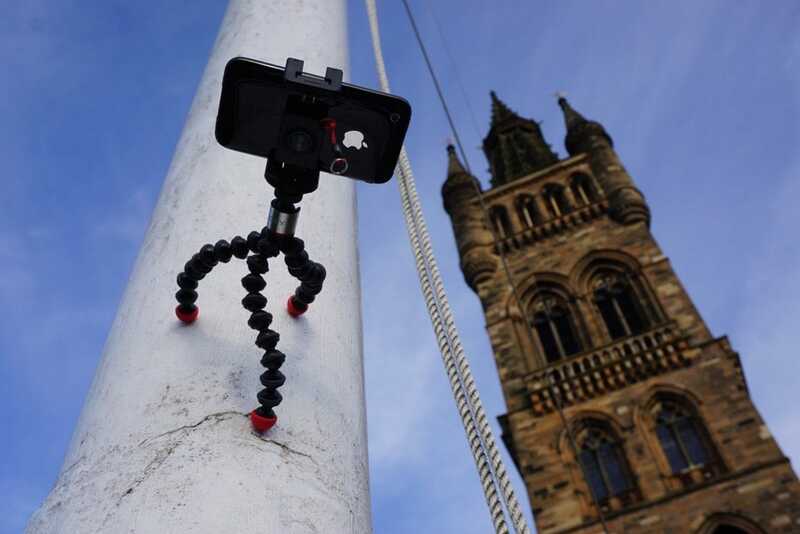 However, what marks it out is the incorporation of the flexible GorillaPod legs which mean that you don’t need to have a flat surface to place it on for your screen to be level. The legs are designed such that each spherical section articulates through a wide range of movement. 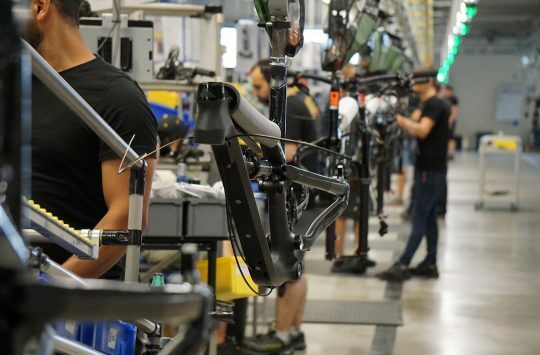 With rubberised ends and a band of the same high grip material round each section of each leg, the three legs can be manipulated to fit all manner of peculiarly shaped objects. Tree branches, a climbing frame, tent poles, even the edge of a table – the only limit of its applications is your ingenuity. Holding your device in place are two semi-circular mini clamps which are connected by elasticated cord. Simply pull open the jaws, place your phone in the bottom one, pull the top one over et voila! After that, you can play about with the legs to your hearts content until you find the perfect position for your phone. Use it to watch a film, make a video or listen to your favourite Norwegian Death Metal band (or, perhaps more likely, Barry Manilow’s Greatest Hits!) Once finished, remove your phone, fold the legs flat and pull on the small tab attached to the elastic to pull the jaws back together. …….or even here! All that limits you is your imagination! The little button that could. Are Sanny’s hands enormous big shovels or is the Impulse really that small? 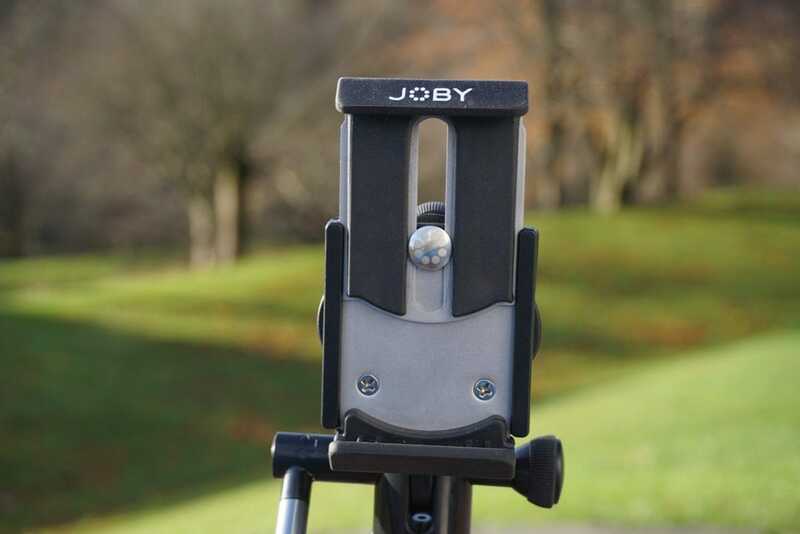 The JOBY Impulse (for those of you who grew up with Billy Connolly or who are Glaswegian, you will already be sniggering at that!) is almost the definition of miniaturisation. At a miniscule 10 grams, it’s not hard to imagine it finding its way into Q branch where it would no doubt vaporise Bond’s latest Spectre foe or perhaps just work his electric garage door. Press the button and it glows a strangely satisfying red. However, its real use is to act as a super small remote control for when you want to get your selfie jones on. Employing a mixture of sorcery and trickery (that would be a battery and Bluetooth connectivity – Ed), the Impulse enables you take create all manner of shots from group selfies through to triggering action shots from above where a self- timer just wouldn’t cut it. 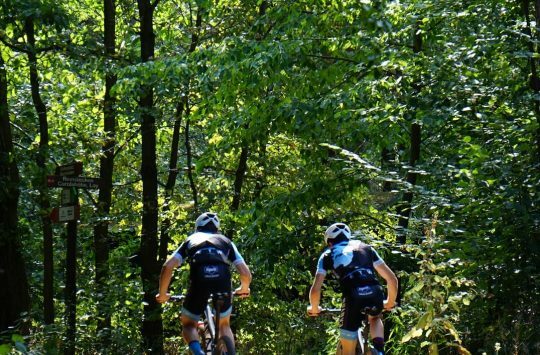 If you are in the mood for filming passing riding shots when out on the trails alone, you can activate your phone whenever you want. No more miss-timed clips of you riding in and out of shot. The one for the smooth shot maestros. No matter how hard you try and no matter how smooth you think you are, it can be a real challenge to create pan and tilt shots that don’t look like you are suffering from the effects of one too many coffees. 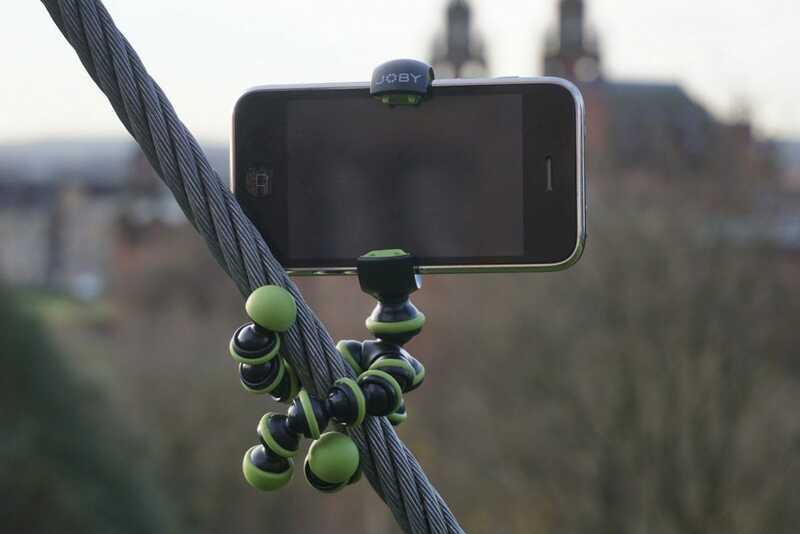 Employing one of their larger scale GorillaPod tripods, the Griptight Pro Video GP Stand is JOBY’s solution to creating smooth panning and tilting shots. If you want to capture your riding buddy whizzing past in a flurry of kicked up leaves or create arty ground level shots without having to crane your neck, this is the kit for you. 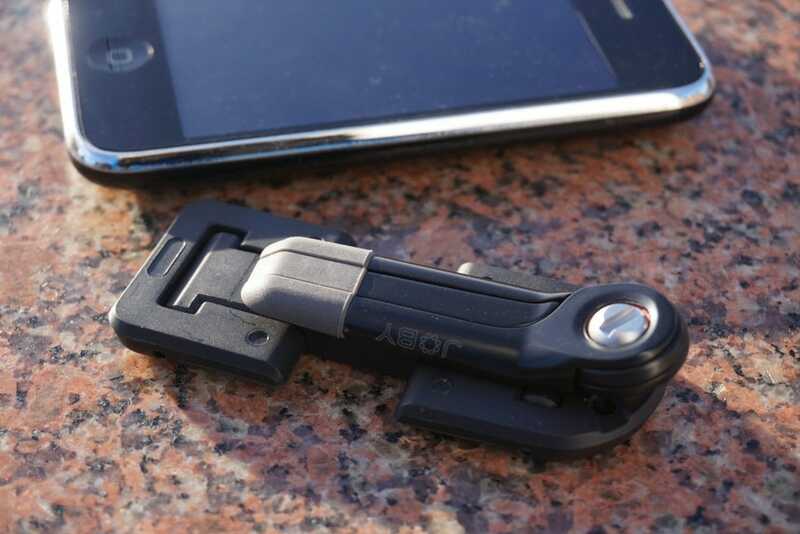 The clamping mechanism easily adjusts to accommodate different smart phones. Neat! 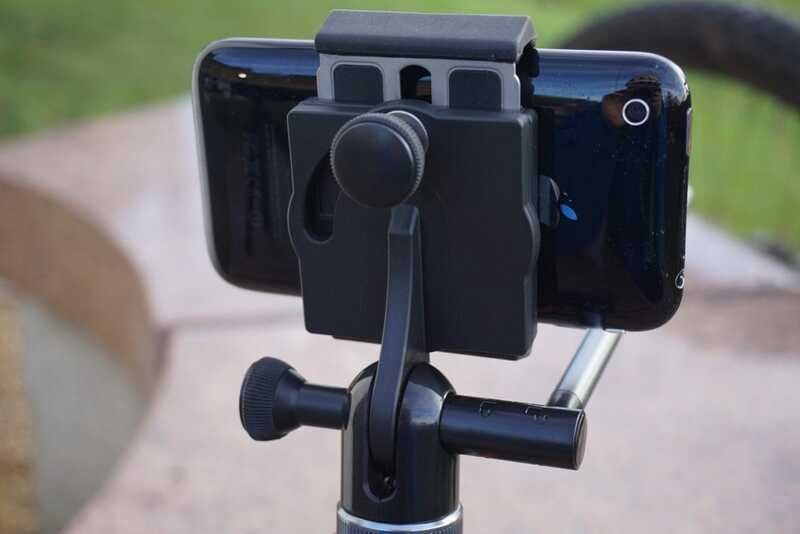 At the heart of the unit is a universal smartphone clamp that can be adjusted to fit virtually any phone, even those with a protective case on. Constructed from stainless steel with rubber grip pads, the locking jaws are securely clamped into place using an easy to turn knurled wheel. 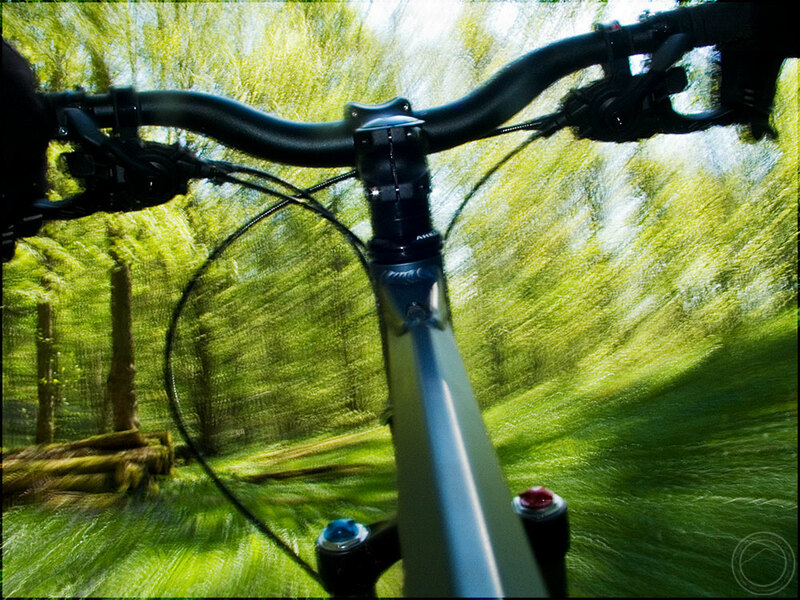 Back off the tensioning wheel a little and you can rotate your smartphone through a full 90 degrees which gives you the option of portrait shots; good for close ups, and landscape shots, good for fast panning and capturing big sky scenery. 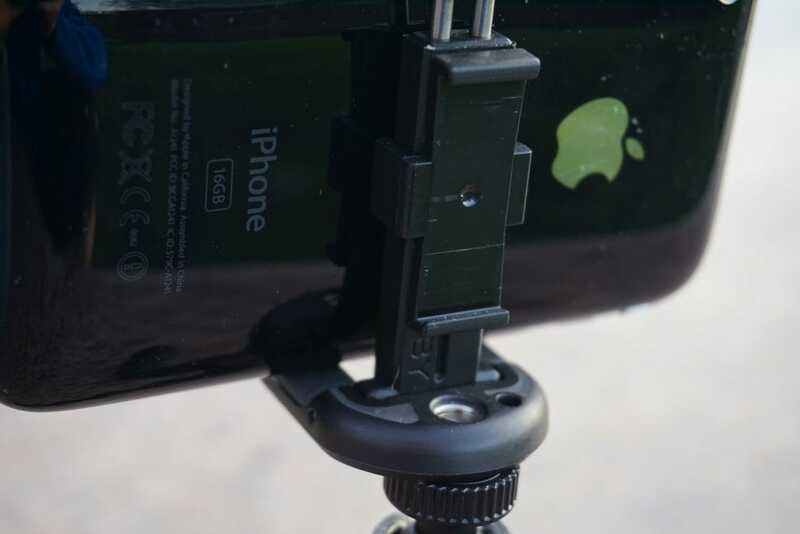 At the base of the clamp is a second adjuster wheel which is used to lock in the angle of your smartphone. This has a full 180 degree range of movement. Cinch it up and keep a constant angle or run it loose and you can tilt to your hearts content. Super shiney for your inner magpie! 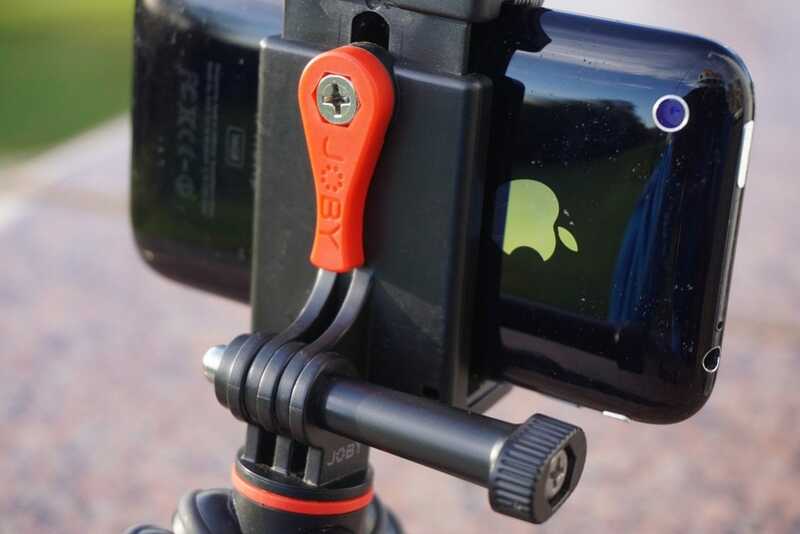 Attached to the other end of the clamp is funky anodised aluminium panning arm which allows you greater control as you attempt to capture that perfect panning shot. The arm itself can be angled up or down in 45 degree increments while it can be folded down flat when you have finished filming for the day. To finish things off, the base of the clamp rotates smoothly through 360 degrees so if you want a cool wraparound shot, you can. 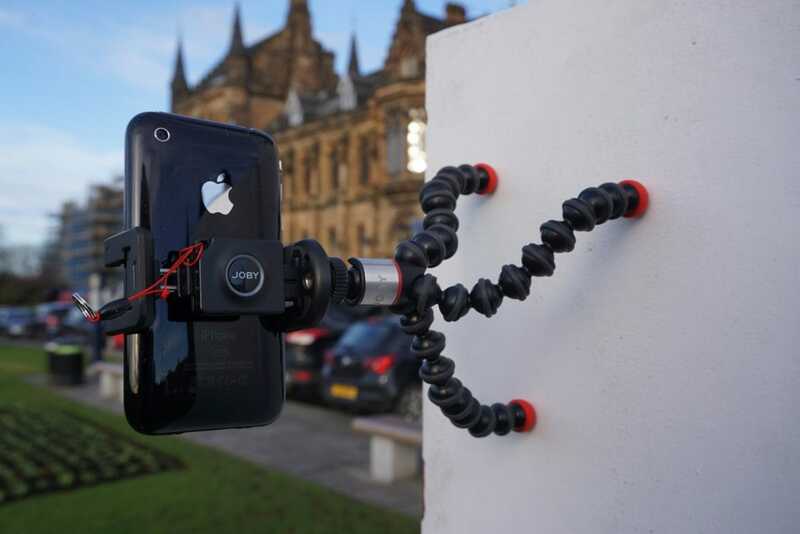 Rotatable clamp to switch between portrait and landscape shooting. 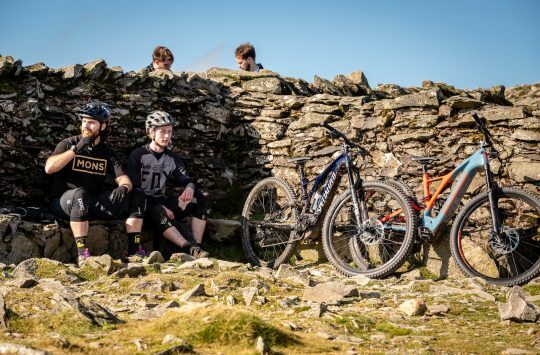 Weighing in at some 400 grams and measuring only 30 cm in length, the unit is light enough but compact enough to travel with you wherever you decide to ride and always be there when you need it. 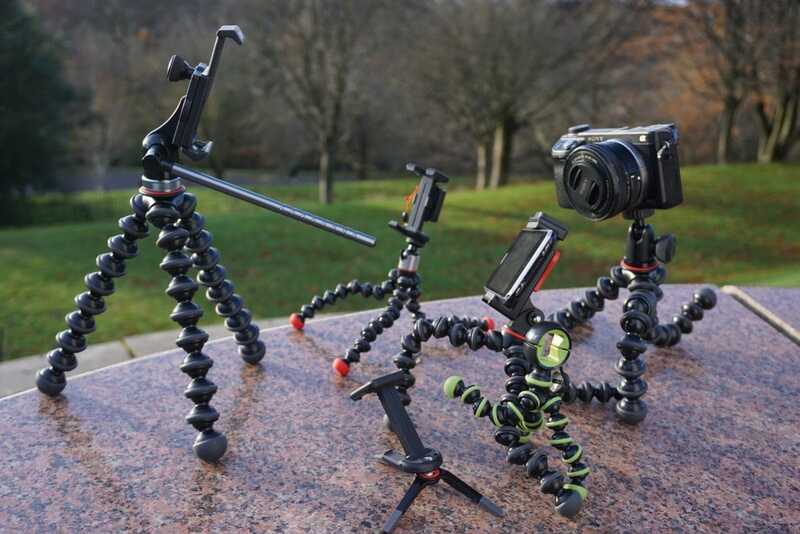 The flexible GorillaPod arms allow you to attach it to virtually any surface – tree branches, climbing frames, door frames – all are fair game. With legs long enough to allow you to take selfies, it is equally at home vlogging as it is out in the field as you channel your inner Scorsese. Want to use a traditional tripod? Well you can as the pan and tilt tripod head is available separately and uses the industry standard ¼ inch thread mount. The one for budding Annie Leibowitz’s. Anyone else reminded of “The Tripods” on the BBC in the eighties? 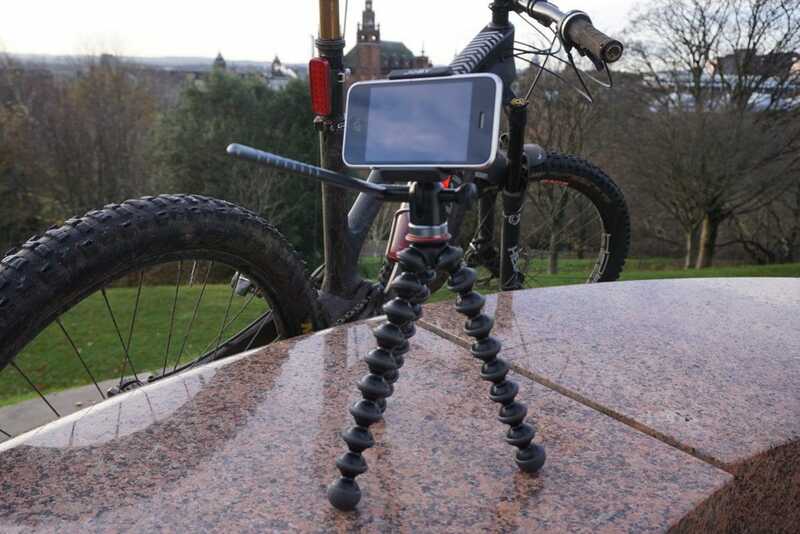 The GorillaPod 1K stand is, as the name suggests, suitable for cameras up to 1 kg in weight or if, like me, you come from the seventies, 2.2 pounds. 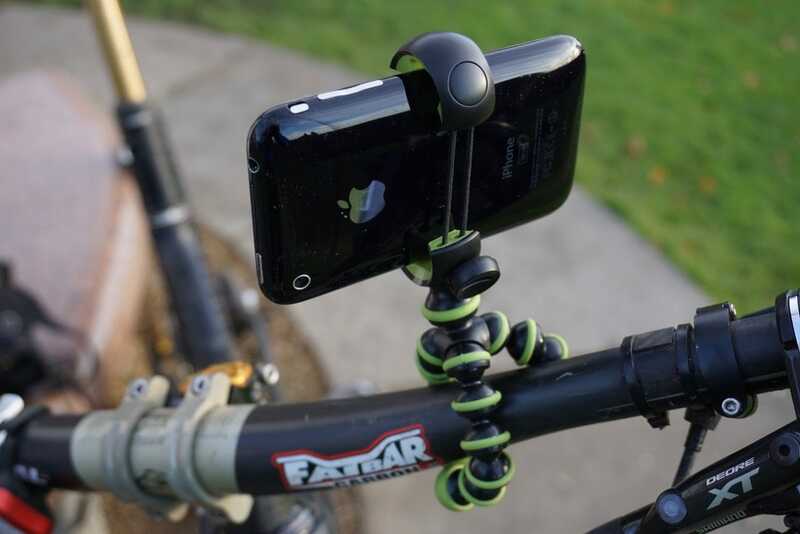 Employing a threaded ballhead mount, the stand can be employed to pan through 360 degrees and tilt through 90 degrees. If you cannot find the perfect shooting angle with that range of adjustment, you’ll probably be in a minority of one. Being 26cm in length and weighing a shade under 200 grams, it falls into the category of light and easily portable. Easy to use gnurled knob, even with gloves on. Optimised for compact system cameras, the stand can be used in tripod mode, wrapped around your fixture of choice or as an extended grip. Want to mount your remote flash gun in a tree? Go for it. Want to take some long exposure shots of the Northern Lights? You’re covered. Want to ride your motorbike at some comedy speed while recording it for posterity and create evidence for the police for your ensuing court case? You can do that too. It might not be your cleverest day on this planet though. 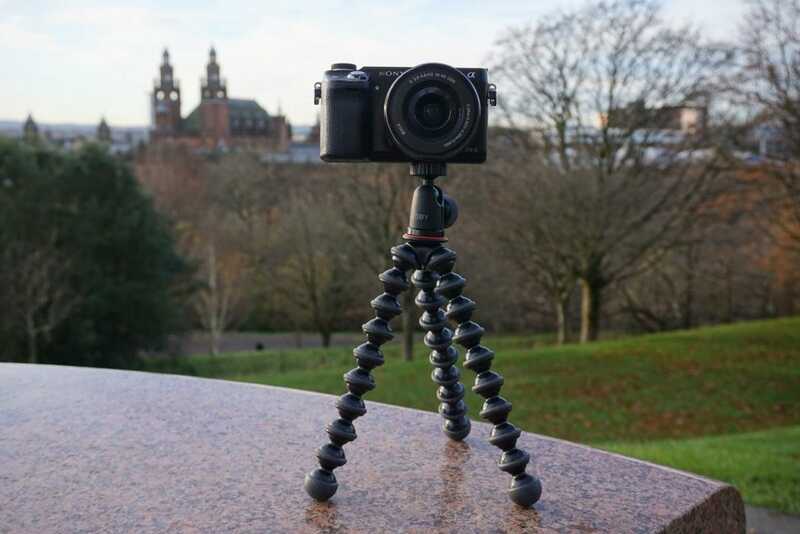 With all the claimed features of the GorillaPod design – offering stability, strength, durability and portability, it’s more than just a tripod. Camera can be rotated through ninety degrees at the twist of a dial. The funky one that will have you sticking it to every metal object you can find. Of all the products in the range, this is the one that is probably the most fun to play with. Employing the same mount as found in the Griptight One Micro Stand and using the Impulse Bluetooth remote control button, the Griptight One GP Magnetic Impulse is the one that will have you looking at every single piece of metal in your life and imagining the filming possibilities. Attach it to the fridge door for Yoghurt and butter-cam? Check! Stick it to a metal gate for swing-o-cam? Check! Place it on the bonnet of your car for not-quite-as-good-an-idea-as-I-thought-cam when you drive at 60 down country lanes? Check! 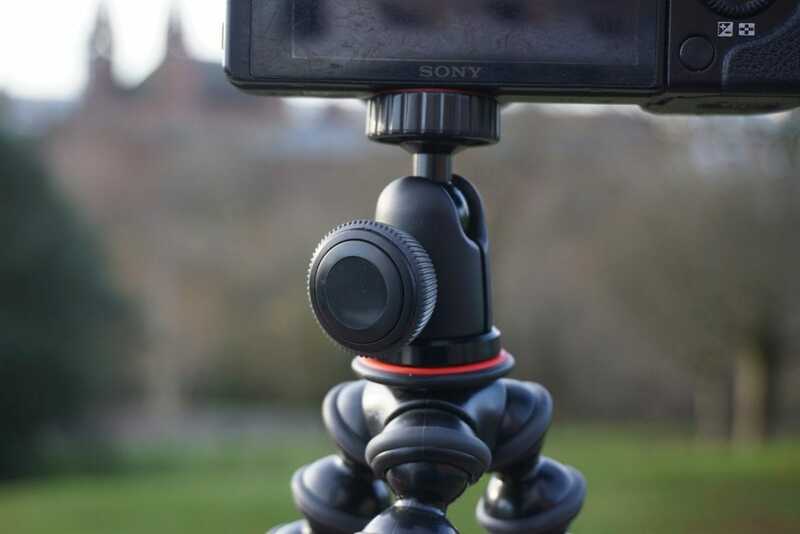 For use with either your smartphone (with the clamp) or your compact camera (without), the Griptight One GP Magnetic Impulse encourages you to get creative with your stills and videos by going where other tripod designs simply cannot. The inclusion of a mount for your Impulse remote control means that you have no excuse for misplacing it. Even a klutz like me hasn’t managed to misplace it – well, not yet at least! The one for the GoPro generation. Good for time lapsen shooting. Last but not least we have the Griptight Action Kit. 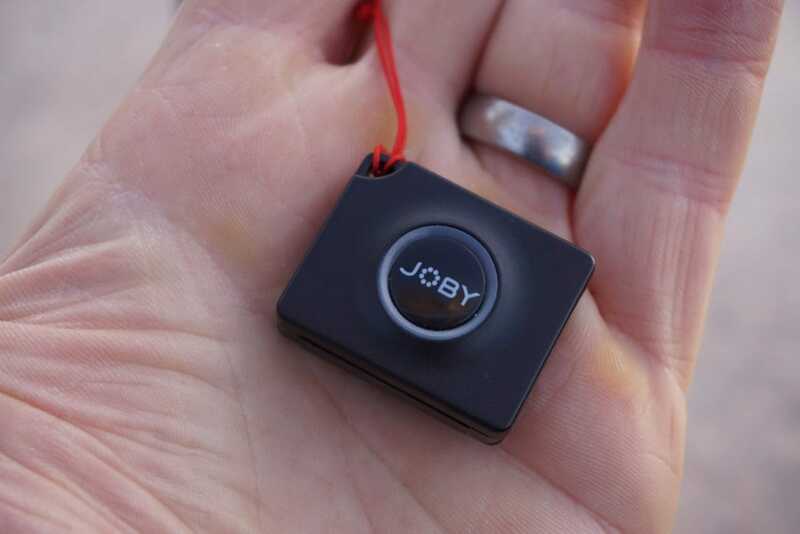 While all the other kits are smartphone focused, JOBY offer this kit for those who like capture video and stills in all their 4K ultra-wide goodness. 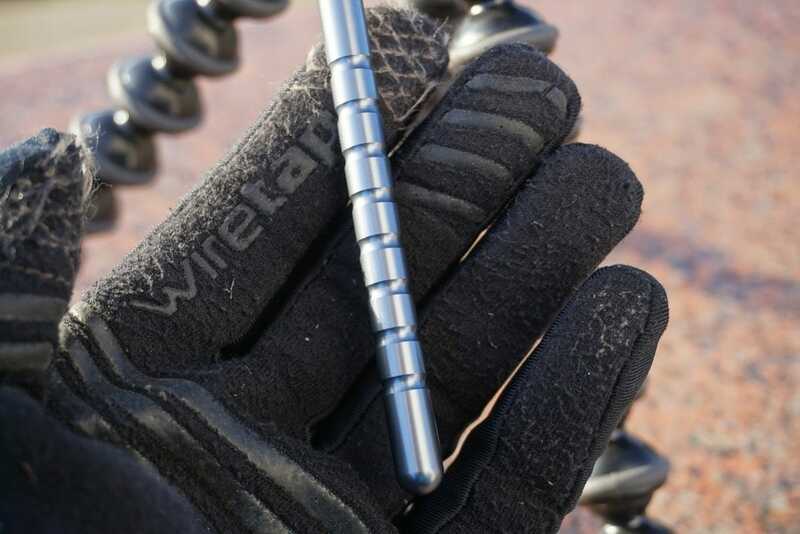 Utilising an integrated pin-joint mount and long Go-Pro style thumb screw, the kit can be used with many of the leading action cameras on the market. Mount, tighten the clamp and you are good to go. 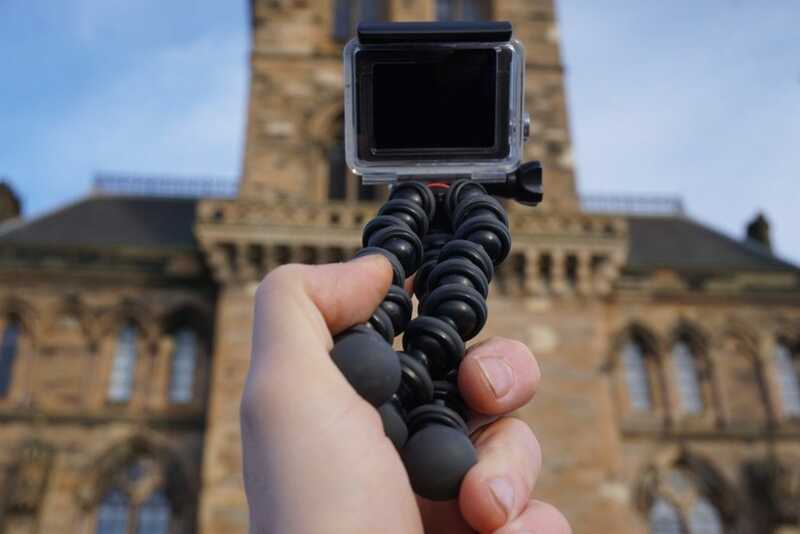 However, recognising that action cam users will almost certainly also have a smartphone in their possession, the GorillaPod comes with their Grip Tight Action Mount. This is a simplified version of the mount that comes with the Griptight Pro GP Video Stand. 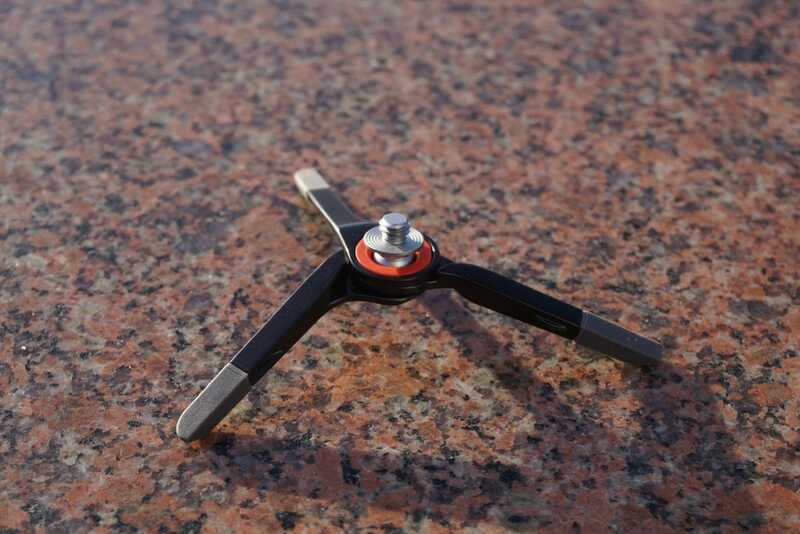 Instead of a thumbwheel, the mount features a simple cam lever. While it lacks the stainless steel rotating design of that model, it clamps onto smartphones just as effectively. Rounding things off, the Impulse remote control comes as standard. While it lacks the adjustability of the more expensive models, it makes up for in terms of flexibility. 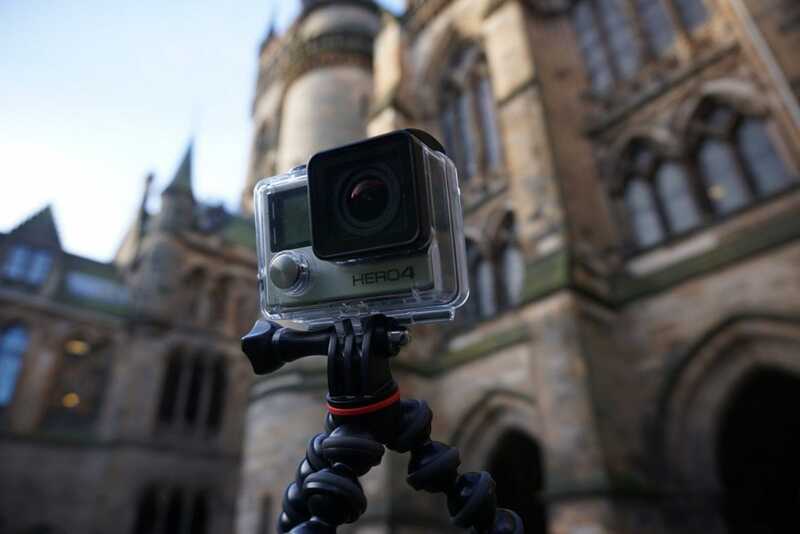 Action cam or smartphone – the choice is yours. Go Pro or smart phone? You choose. Review: Alpkit Ordos 2 Tent - for fun with a friend? Not even a titter about the name, Joby…. Have a word with yourself Sanny! Excellent things. I don’t currently have one, but really should invest again! Cut and paste linky thing if you are interested! It made me laugh every time I used the kit! Fair to say that whoever founded JOBY doesn’t come from the west of Scotland! 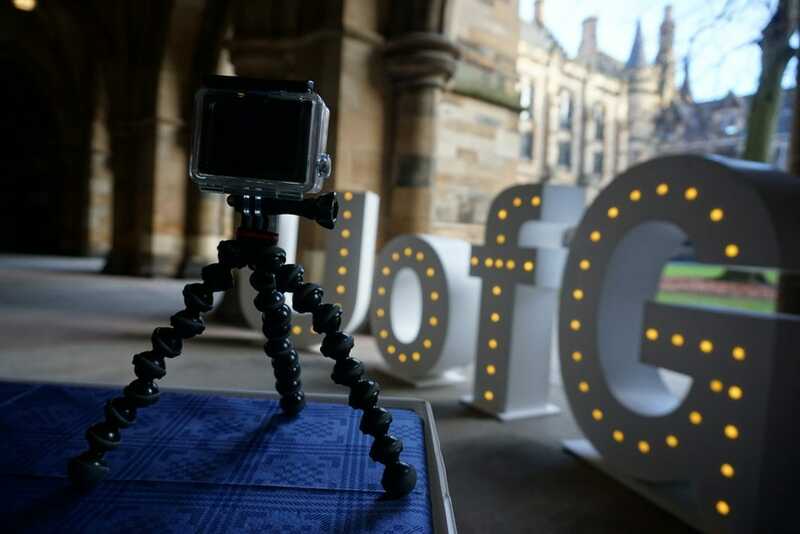 Very disappointed to see so few Scottish entries into their #myjobystory social media campaign/contest.